Summer is the perfect time to enjoy what we consider the best sparkling white wine sangria around. We’re talking about a summer sangria recipe that is light and flavorful and so so tasty. We love peaches, so it only goes to show that we would embrace a summer sangria recipe for Peach Sangria just like we embrace Ginger Peach Smoothie, Peach Cobbler and Cornmeal Peach Tart. If you’re looking for the best wine for sangria, our tip is that you don’t have to go all out. 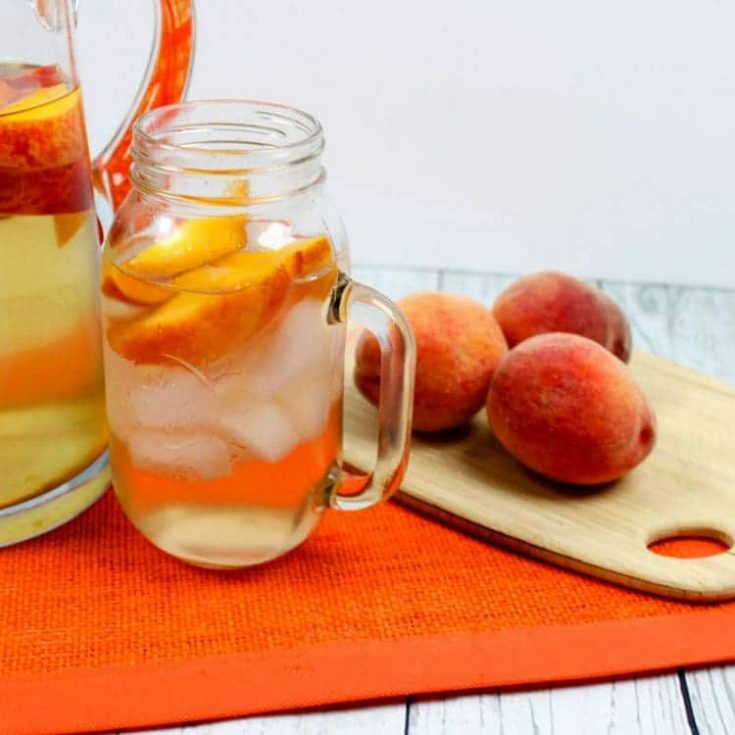 Pick a flavorful wine that you enjoy on its own, and we’re sure you will enjoy the enhanced flavor that the peaches and peach schnapps add to it. We love this refreshing drink recipe that is perfect for serving up alongside all the meals we’re cooking up on the grill this summer. If you’re looking for a tasty cocktail…this is it. Wine and peach schnapps makes for a great combination! Yum! 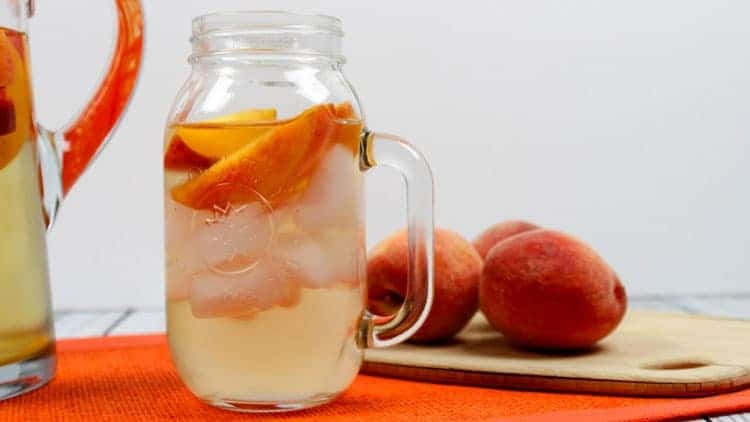 Cut the 2 peaches and then place the slices at the bottom of a pitcher. 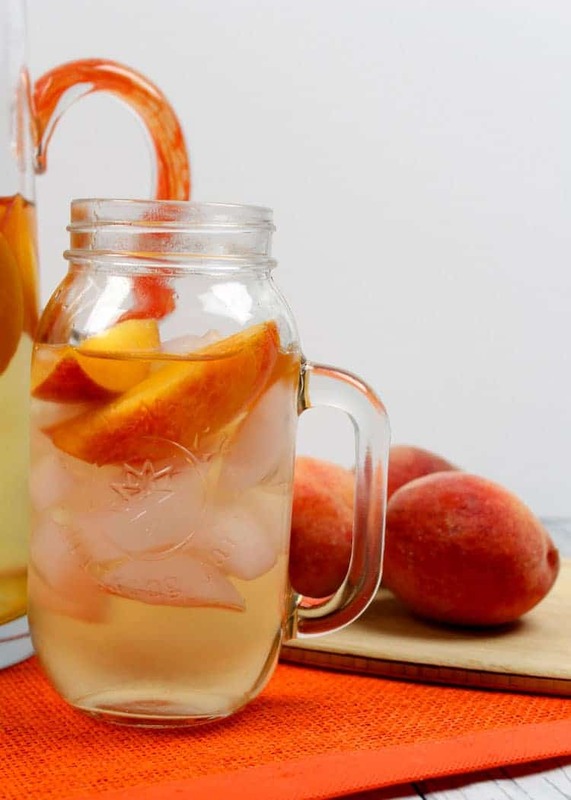 Pour in white wine, ginger ale and peach schnapps. Mix together with a long spoon. Serve immediately over ice or refrigerate!